Video on Demand (VOD) is Available on VTelevision! 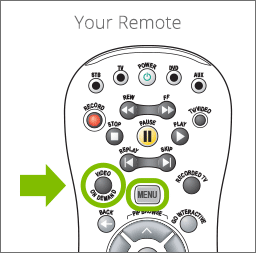 To access, press the Video on Demand button on your remote. You can also access Video on Demand by pressing Menu on your remote and selecting Video on Demand. What programming is available on Video on Demand? Browse our Video on Demand listings and discover TV shows, movies, music, events, and more! Networks and movie studios send us new things all the time, so check back often to see what’s new. Much of the Video on Demand content will be available to you regardless of your television package, while some network content will only be available if that channel is part of your television package. Content that’s not available will not show up in your list, so if you can see it in your menu, you can watch it. Keep in mind that some content is free, while other content will be charged to your bill. The cost of each movie or program is clearly labeled. Don’t worry, there are several clear messages during the purchasing process that will tell you if the program costs extra and will be added to your next bill. There are actually two ways to watch Pay-Per-View programming: through your Video on Demand menu or by tuning in to channel 360. So, what’s the difference? Enjoy the flexibility to start a movie or program when you want to watch it. New release movies, concerts, comedy specials, adult programming, and more can all be found on your Video on Demand menu and started anytime. Once purchased they are available for 24 hours. Each purchase will be shown on your next bill so you can easily see what you purchased and for how much. This is the traditional Pay-Per-View, where a program starts at a certain time and you tune in at that time to purchase it. WWE, boxing, MMA, and other big fights make up the majority of this programming. Programs can be purchased 24 hours before they air and up to halfway through the running time of the program, but they must be watched at the times they air. Each of these purchases will also be listed on your next bill.